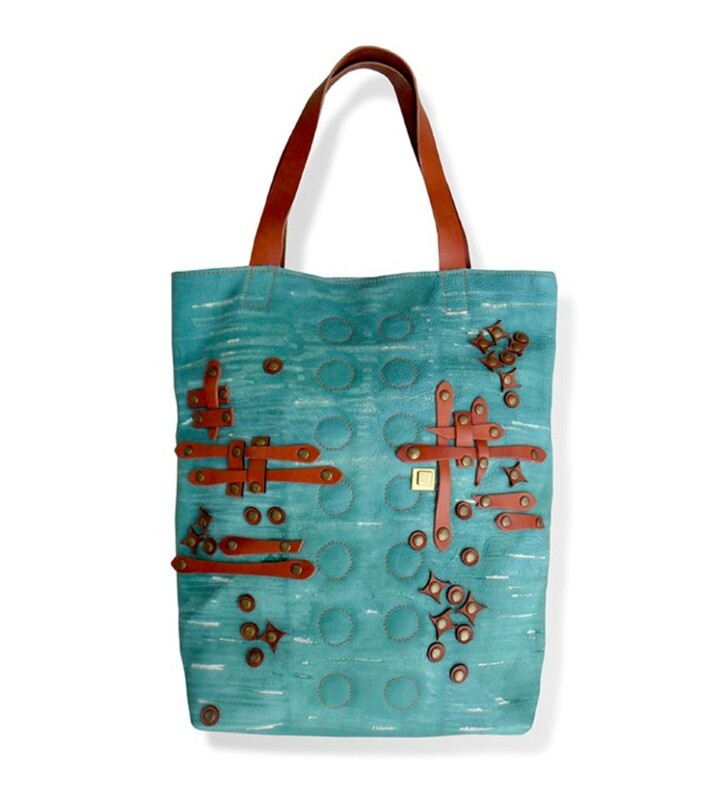 LIMITED EDITION Hand-painted leather tote with applications. Comes with two top handles, canvas lining, protective metal feet and one interior pocket, magnet closure. Made in Spain. Professional cleaning only. Bespoke style. Accepting returns only in case of manufacturing faults within 14 days of receiving the order. 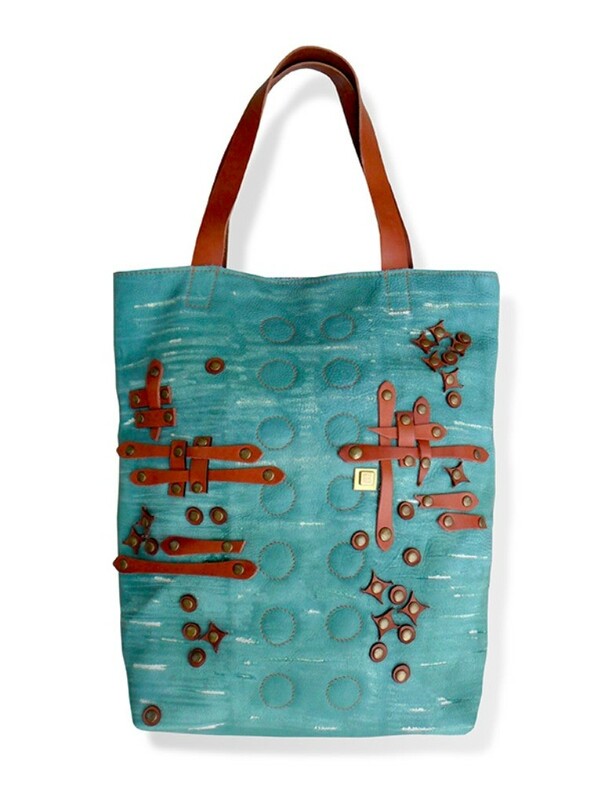 LIMITED EDITION Hand-painted leather tote with applications. Comes with two top handles, canvas lining, protective metal feet and one interior pocket, magnet closure. Bespoke style. Accepting returns only in case of manufacturing faults within 14 days of receiving the order. Founded and designed by Tika Kuchukhidze – winner of the Independent Handbag Designer Awards – Tika is known for its colorful and sustainable statement handbags as well as its emphasis on promoting Spanish craftsmanship. 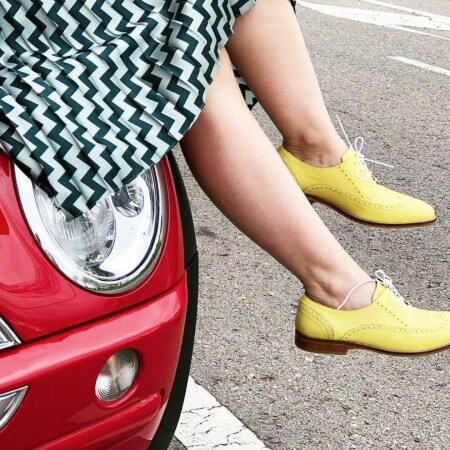 Handcrafted using locally sourced and organic materials, the colorful designs are instantly recognizable by the combination of playfulness and chic, geometric shapes resulting in unique and distinctive pieces that are ideal for a signature look.